Yellow-lupin (Lupinus luteus L.) was grown on soils contaminated with heavy metals during two parallel studies. In the first one, the soil was contaminated by industrial activities whereas, in the second one, the soil was artificially contaminated with a single metal including Cd, Pb, Zn, Ni (in nitrate form), and Ag (in nitrate and nanoparticles form). The study was performed to assess a plant’s response to contamination including its antioxidative response and molecular mechanisms involved in metal detoxification through the expression level of metallothioneins (MTs). Overall, the study provided insights into identification and validation of housekeeping genes (HKG) in L. luteus under exposure to metal stress and showed the effects of selected heavy metals and silver nanoparticles on the expression of metallothioneins, the activity of guaiacol peroxidase (GPX) and bioaccumulation of metals in leaves of L. luteus. As such, HKG validation using BestKeeper, NormFinder, and geNorm software allowed for the selection of four most stable reference genes in a context metal contamination for the selected plant. Moreover, a significant increase in the expression levels of MT was observed in plants grown under heavy metal stress and none on plants grown on 25 mg kg−1 of silver nanoparticles. 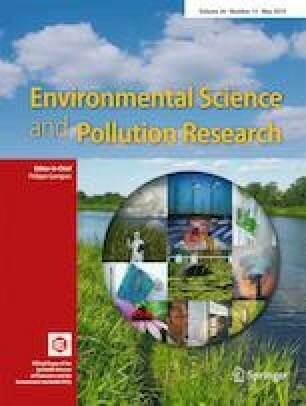 Also, the GPX activity and MT expression showed statistically significant changes between different conditions and doses which means that they can be used as highly sensitive stress markers for planning the phytoremediation process on a large scale. This research was funded by internal grant BS PB 401/304/11 and BS/MN-401-303/18.